John Pearce pioneered mass low-cost catering in Victorian London. John Pearce (1847 – 1930) was born into humble circumstances in Shoreditch, London. His mother’s strict Baptist faith was to have a lasting influence upon him. His father died when he was young, so from the age of nine he had to earn a living. Pearce became an apprentice porter in Covent Garden. He would portray this period of his life as a miserable one, a Dickensian tale of “child slavery” where he was “the absolute property of his master”. He determined to establish his independence at the first possible opportunity. Pearce recognised the difficulty that labourers had in procuring good food early in the morning. In 1866 he hired a costermonger’s barrow from which he sold coffee, bread and cakes. He would set up his stand from four o’clock in the morning on City Road. After six months Pearce had saved enough money to build himself a stall, which he named the Gutter Hotel. Within a few years he was serving 2,000 customers every day. Pearce sold the Gutter Hotel for £200 in 1879. Pearce used the proceeds to buy the lease of 68 Aldersgate Street, London. He turned the premises into a working-class restaurant, which grew to sell as many as 600 beef-steak puddings each day. Future Prime Minister Ramsay MacDonald (1866 – 1937) was numbered among its customers. Pearce leased two adjacent properties on Farringdon Road in 1882, where he sold as many as 1,200 beef-steak puddings a day. Soon, 6,000 people were being served on a daily basis. Shortly afterwards, Pearce partnered with Sir Edward Sullivan, Baronet, who provided the business with the capital to expand. 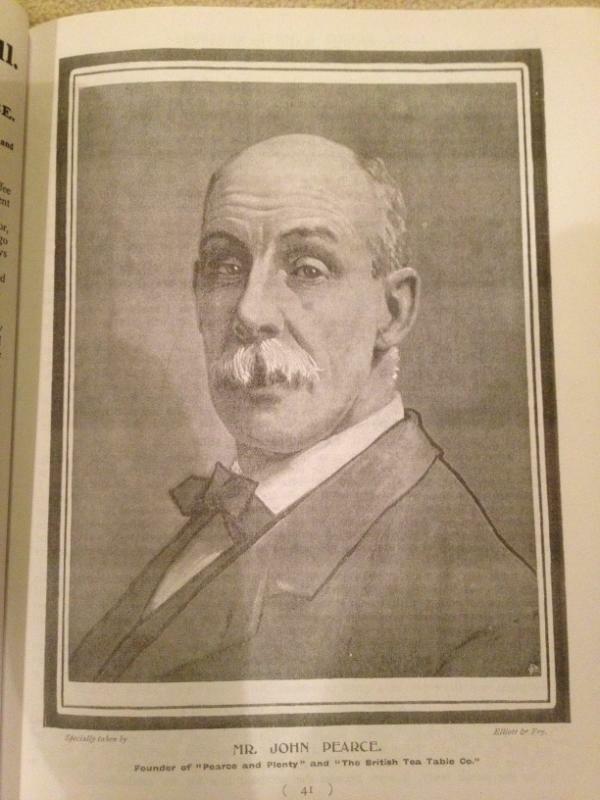 Pearce opened restaurants across London, and began to brand his outlets under the Pearce & Plenty name from 1883. Pearce was inspired by the temperance movement, and offered his restaurants as alternatives to public houses and taverns. 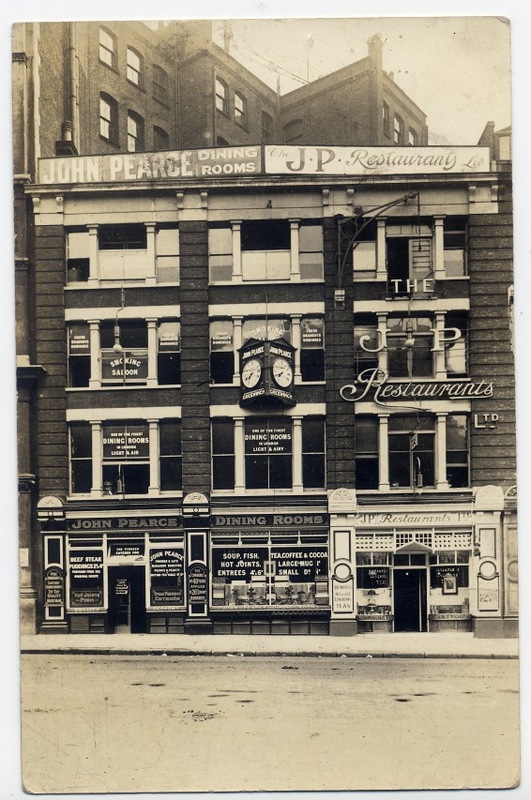 Pearce restaurants were one of the few places outside of public houses and hotels where women could get a meal. Despite this, he was never an idealist, but a hard-headed businessman. Unwilling to miss out on the middle market, Pearce opened two British Tea Table outlets in the City of London, aimed at young clerks, in 1892. Popular meals included eggs on toast and ham salad in summer, and soup, chops and steaks in the winter. There were 22 Pearce & Plenty outlets and 24 British Tea Table outlets by 1896. Much of the food was prepared centrally at Farringdon Road, where 40 bakers were employed. Over 800 people were employed across the business, of whom almost half were women. The business was incorporated under the name British Tea Table in 1897, with a nominal capital of £300,000. Assets of the business were valued at just over £225,000. Independent directors were nominated to the board. Between 60,000 and 70,000 people were served every day by 1897. There were 64 shops and over 1,000 employees by 1898. Upwards of 100,000 meals were served every day by 1901. The business peaked in 1903, after which profits began to decline. The board of directors investigated the decline in profitability in 1904, and concluded that a failure to update and modernise outlets was to blame. The competition had increased, and rivals such as J Lyons had made a greater effort in the décor of their tea shops. Also, food quality failed to match that of its rivals. Some outlets were rebranded as British Restaurants. 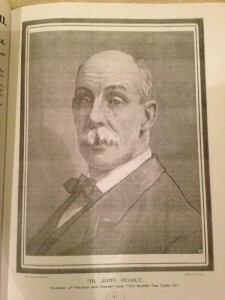 John Pearce resigned as a director in 1904, furious at the direction the company was taking. He founded a new company, J.P. Restaurants, in 1905. 33 out of a total of 70 outlets were loss-making by 1905. This number had risen to 48 by 1907. A committee of shareholders was appointed to investigate the affairs of the company in 1907. The board of directors all promptly resigned following the nomination of John Pearce to the committee. The company was loss-making by 1908. That year the shareholders committee reported that many outlets were trading at a loss due to inefficient management and mistakes in policy. The 32 outlets that remained profitable were sold to J.P. Restaurants for £28,000 in 1909. Five other outlets were divested separately. British Tea Table was liquidated in 1910. J.P. Restaurants had 51 outlets around London by 1923. 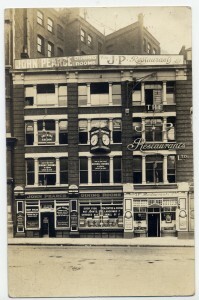 Pearce established Associated Hotels, a low-cost hotels company, in London in 1925. J.P. Restaurants was taken over by the Aerated Bread Company, a large catering concern, in 1927. John Pearce was retained in a consultative capacity. The freehold production facilities on Farringdon Road were immediately closed down, with production transferred to the central ABC facility in Camden Town. Following a stormy meeting, Pearce and his sons were forced to resign from the board of directors in 1930. Shortly afterwards John Pearce had a heart attack and died. He left an estate valued at £51,073. Very interesting piece about my Great, Great Grandad.Filled in many blank spaces we had on his story. My late father, another John Pearce, would have found it fascinating.